COLUMBIA, S.C. – The forestry industry in South Carolina is positioned for significant growth in the decades ahead, according to a study conducted by nationally prominent forestry expert Dr. Robert Abt of North Carolina State University. A diverse group of forestry professionals from manufacturing, timber growing, private forestry consultants and governmental bodies participated in the study. This committee, known as the “20/15 Forest Resource Committee,” projected that an additional 4-8 million tons of wood will be harvested above South Carolina’s current annual total of more than 20 million tons, an increase of 20% to 40% by 2020. Much of the supply of large pine roundwood (trees used for sawtimber) is already in the ground and ready for harvest. Growers have largely been holding that inventory during the economic recession due to lower demand and depressed prices. As the economy recovers, both demand and price are expected to rise, creating incentives to harvest standing timber and, ultimately, to replant with new seedlings. Significant tree planting in South Carolina would be the first such occurrence of the 21st century, as seedling planting in the state over the past decade is down 75% from the levels of the 1980s. 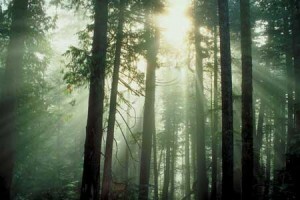 The Forestry Commission launched a promising campaign entitled “Grow Some Green” in 2007. The program was undercut by the dramatic downturn in home building, a casualty of the recession the following year. As the housing industry and general construction rebound, harvesting of large-diameter pine (sawtimber) and replanting are expected to resume and even increase. Small pine roundwood (trees used for pulp, paper and pellets) demand didn’t decrease during the recession and, in fact, remained strong. This demand and reduced tree planting has reduced the historic supply of small-diameter pines. With that market scenario expected to continue, opportunities to plant and harvest small pine for the near future will expand. In addition to projected growth over the long term, the study found the short-term prospects of the forest industry in South Carolina brighter as well. Looking to the end of the current decade, the study projects additional demand between 2.4 million and 4.0 million tons of small pine roundwood and additional demand between 1.6 and 4.0 million tons of large pine by the year 2020. The study is the latest step for the “20/15 Project”, a cooperative venture among the Forestry Commission, the SC Forestry Association and partners. The project is designed to grow the state’s forest industry to $20 billion in annual economic impact by the year 2015. A report issued in 2008 showed a strong industry with a $17.4 billion impact, making it the state’s leading manufacturing sector in terms of jobs and payroll. “The state’s forests are primarily owned by private landowners. The wood they produce is critical to retaining and growing the industry and its job numbers and for maintaining the working forest landscape,” Kodama added. The goal of the new study was to develop overall wood supply projections for the entire state of South Carolina that would help identify opportunities to meet the goals of the 20/15 Project. The study wasn’t designed to address specific economic development projects or mill studies. Commissioned in August 2012, the study took nine months to complete and will be formally presented in depth to the forestry community by its author, Dr. Abt, at the SC Forestry Association annual meeting in October. A noted specialist in regional timber markets and natural resource management, Dr. Abt teaches and conducts research at North Carolina State University. He received his BS from Georgia Tech, MS from the University of Tennessee and Ph.D. from the University of California-Berkeley.